The Elevated Temperature Mark/Label - Buy Securely Online! 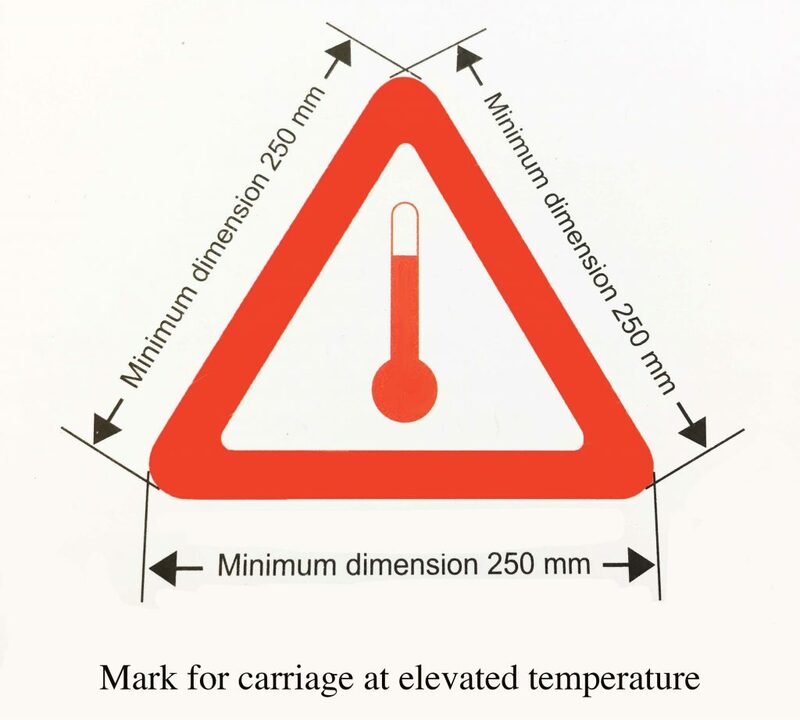 The Elevated Temperature Mark is used to identify special vehicles or containers carrying substances in a liquid state, over 100°, or in a solid state at, or above 240°. Certain materials are transported as a molten liquids to make it easier to handle, load and unload them. It also eliminates the need to install expensive, energy hungry facilities at the customer end to re-melt the material. Many solids and viscous liquids are also heated for the same reason and are shipped at elevated temperatures. 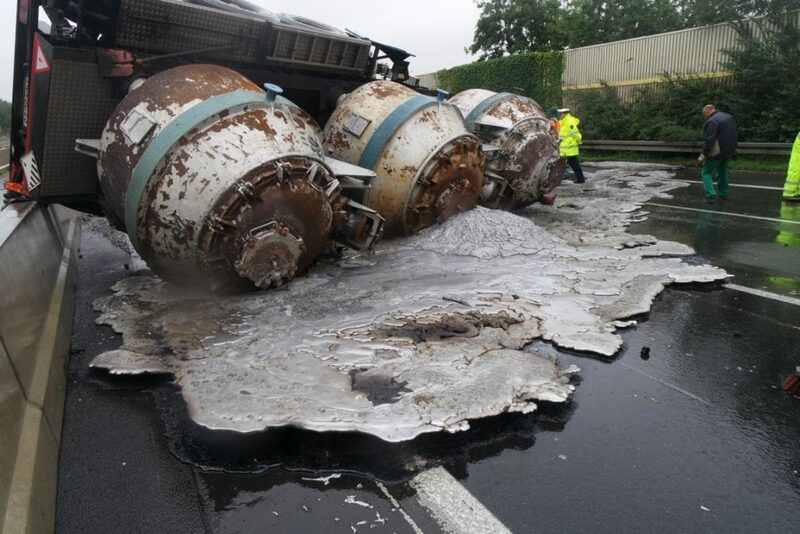 Such materials can include molten aluminium, molten sulpur, molten glass, asphalt and tar and are capable of causing massive amounts of harm and damage in cases of accidents and emergencies. An elevated temperature is defined as at least 100ºC for liquids or 240ºC for solids. The cargo transport units used to contain the elevated temperature substances must be marked exactly as the relevant dangerous goods regulations stipulate. The shipper must properly mark the transport unit with an elevated temperature label/mark before offering it to the carrier. 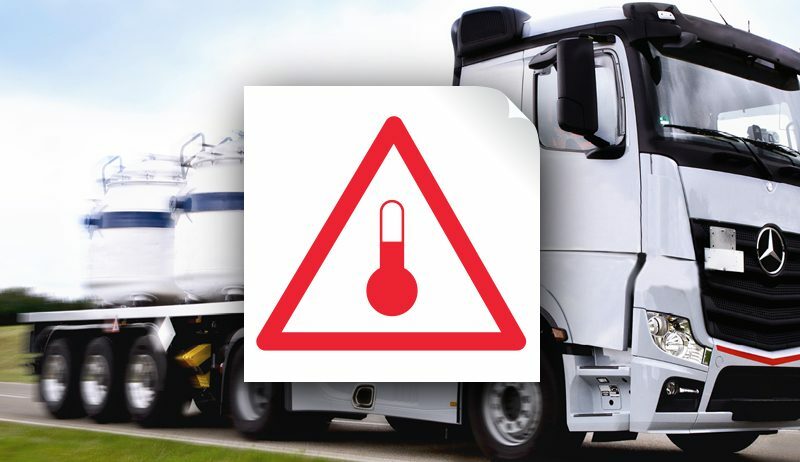 The mark for elevated temperature substances is covered in the dangerous goods transport regulations for road (ADR), rail (RID) and sea (IMDG). The elevated temperature mark/label shows a red thermometer inside a red equilateral triangle. Each line that forms the triangle must be at least 250 mm in length. For tank-containers or portable tanks with a capacity of not more than 3,000 litres and with an available surface area insufficient to affix the prescribed marks, the minimum dimensions of the sides of the triangle may be reduced to 100mm. Under the IMDG regulations, in addition to the elevated temperature mark/label the shipper must mark the cargo transport unit with the maximum temperature that the substance is expected to reach during transport. This must be durably marked on both sidesof the portable tank or insulation jacket, immediately adjacent to the elevated temperature mark, in characters at least 100mm high.